Designer who codes, blabber mouth, and coffee addict. 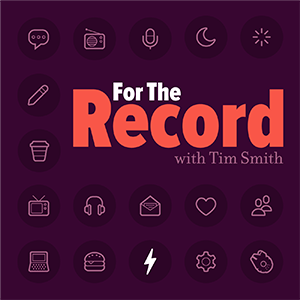 For the Record is a show about the people behind some of our favorite things. Paul Armstrong was in a business partnership back in 1998, which ended in him being sued. Soon after, he went through debt, the birth of his first baby, his parents divorcing, and his mother being diagnosed with dementia. He talks about life, marriage, kids, and how they’ve influenced his work. After losing almost fifty pounds, Jim Dalrymple has a whole new outlook at what it means to live a balanced life. He talks about his weight loss, and the importance of spending time with your family.